Here at True Dental, many parents ask us “when should my child get braces?” or “when is the best age to get braces?”. While there is no one correct answer for anyone, our friendly and professional dentists would be happy to draw from their years of experience to let you know when the best age to get braces is for you. Keep in mind, if you get braces too early in life, you may need further treatment when you’re older. However, if you get them too late, your total treatment time may be longer. Luckily, we’ve compiled a few things you should know when determining when the best time to get braces is. Kids can need braces for a number of reasons including misaligned, overlapping or overcrowded teeth, or an incorrectly aligned jaw. Often, your dentist should be able to identify any problems during a regular visit. Even a child’s first visit can uncover a need for braces; which can be as early as age 7 when their adult teeth start coming in (or at the onset of any noticeable dental issues). Finding these issues early on doesn’t mean that your child will receive braces right away. However, it does help your dentist know when the best time to start orthodontic treatment is. Phase 1 treatment usually begins before a child’s permanent teeth have grown in (usually when they’re around 6-10 years old). This early intervention treatment may be necessary if your child’s teeth are overcrowded or if they have jaw alignment issues. Phase 1 may involve partial dental hardware such as expanders and partial braces. Once Phase 1 treatment is complete, the dental hardware will be removed and teeth will continue to grow in naturally. Once the teeth are in place, Phase 2 treatment will begin. Phase II treatment, also known as comprehensive treatment, begins when a child is older (usually 11-13 years old) and all their permanent teeth have grown in. This treatment usually involves full braces for kids. Absolutely not! While childhood is a great time to make changes to the jaw and mouth, it is becoming less and less uncommon for adults to have braces, too! In fact, having adult braces may improve your confidence by fixing missing or crooked teeth, TMJ issues and more. However, some dentist will tell you there is a lower age limit for braces. This is because braces require that some permanent teeth in place before beginning treatment. 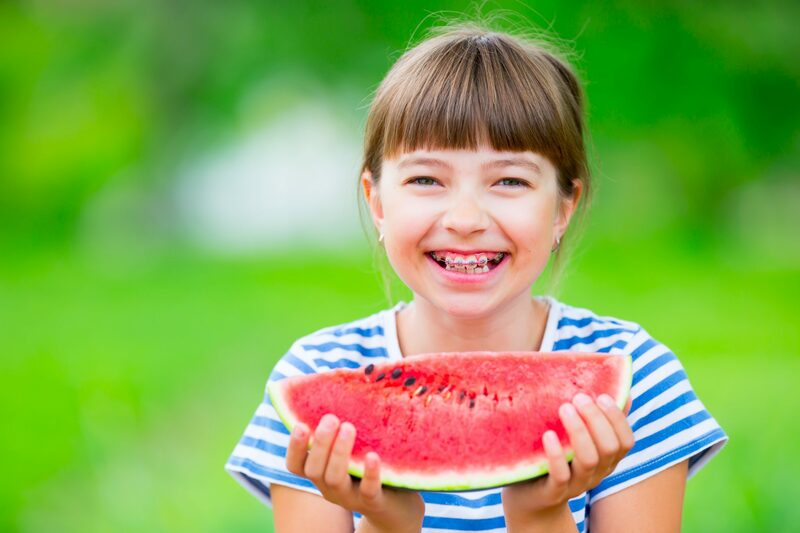 Are you considering getting braces for yourself or your child? Book a consultation with us today to find out when the best time for you is to get braces or the necessary orthodontic treatment. Our team consists of highly trained dentists who are committed to ensuring your dental needs are met in a safe and comfortable environment.